This is a great project for knitting cables for beginners. 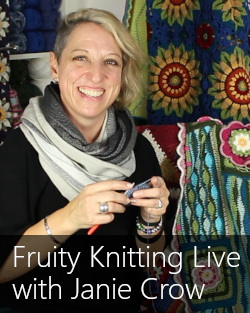 If you can confidently do the knit and purl stitch and cast on, then this is a great tutorial for you. I will show you all the other techniques used to complete the Calder Beanie by Sarah Hatton. Click on the image to watch the tutorial for the Calder Beanie. 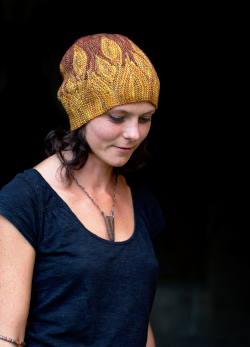 The Calder Beanie pattern is available for free from Rowan Yarns. The recommended yarn for the project is the Rowan Tweed, but I have used the Rowan Pure Wool Superwash DK in shade 106, “Loam”. Hi Andrea and Andrew – I friend told me about your podcasts and now I am hooked. 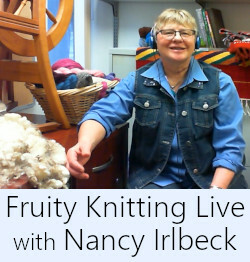 I have been knitting for 65 years and am so impressed with what you are both knitting and doing in your lives. I was able to purchase some Roman Tweed to knit the Calder hat for Christmas gifts, found the pattern on Ravelry/Rowan tweed. But when I went to download the pattern this morning, it’s no longer there. So frustrating. I realise that I am a project knitter, and the only wool I have in my stash is left over from other projects. 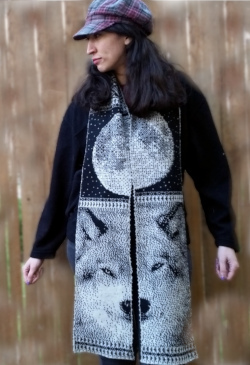 Now I want to knit for enjoyment and the giving. Hi Patricia. Great to hear that you are enjoying the podcasts. For the pattern – in the article above, check the link “Calder Beanie” just under the heading “Pattern and Yarn”. 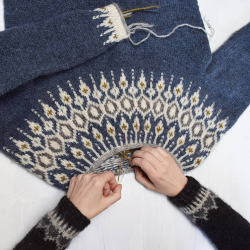 It should take you straight to the PDF pattern – which is available for free from Rowan. Cheers, A + A. Thanks so much! Have just watched your video. Love the video! 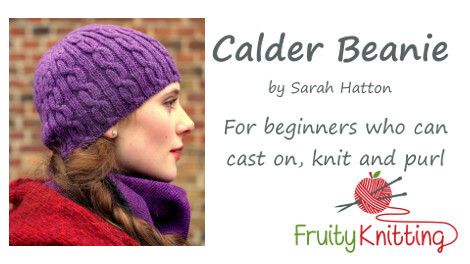 Unlike Patricia; I am a beginner, & can’t wait to knit the Calder Beanie by Sarah. I was unable to download it….will try your way now. Thanks again! May 2018 bring you much happiness & Blessings! How Many repeats did you do in the wool that you used? I have the feeling that you did fewer than the pattern called for. 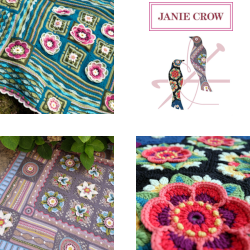 Hi Jan. My recollection is that I did it according to the pattern, but I really couldn’t be sure… Good luck with it! A.